with a Howard Miller floor clock. The entire line of custom logo clocks are available direct from the factory, so please call if you do not see that special clock you are looking for.. There's a certain level of expectation that comes with the Howard Miller name. And then there's the steady stream of surprises that make you stop in your tracks and take a second look. 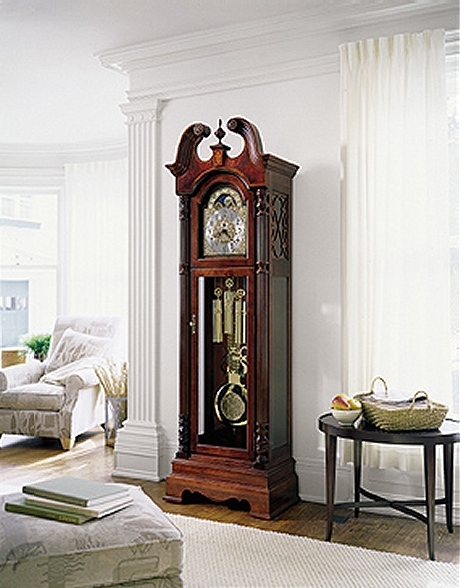 From traditional clocks to hot trends and floor clocks to wine furniture, you'll find even more than you expected at Howard Miller Clocks.